Higher education is one of the most important investments students and families can make–but accessing higher education can be challenging. 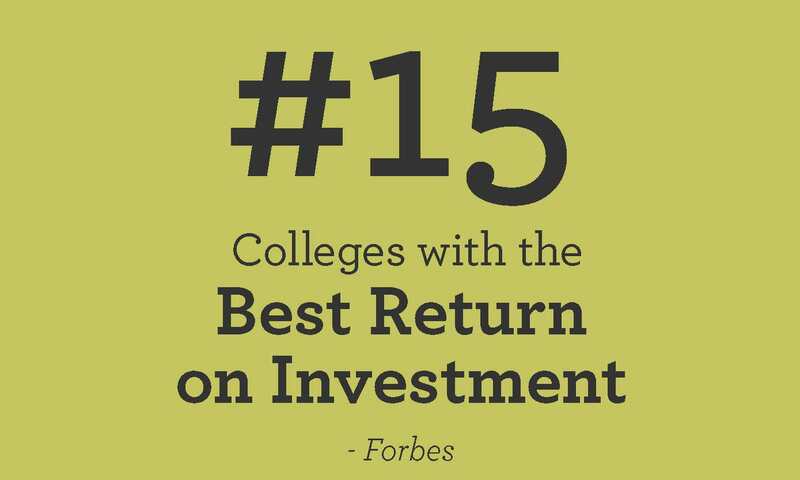 Which is why, from the moment students step foot on campus, WPI provides the education, experience, resources, and support needed to ensure they achieve the personal and financial success that is a hallmark of a WPI education. WPI’s value proposition has never been stronger. WPI graduates enter the workforce earning impressive starting salaries more than 38% higher than the national average (NACE, 2018 graduates). We hope you will consider WPI and take the next step towards a successful career and happy life! 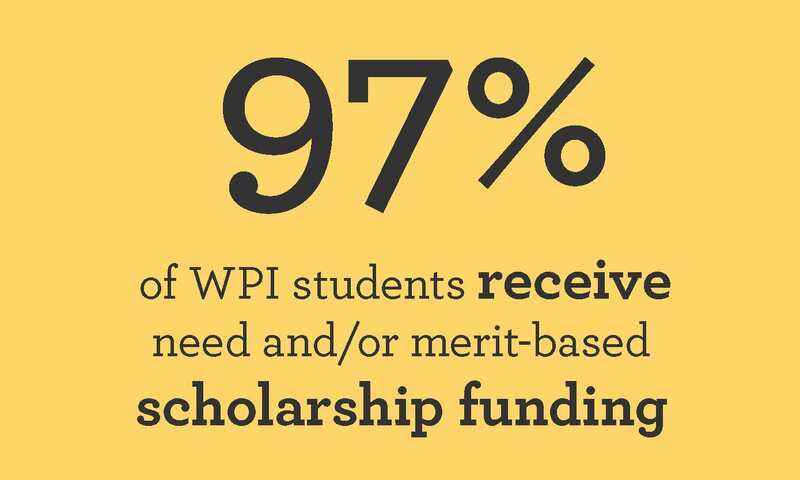 The WPI Office of Student Aid & Financial Literacy helps families navigate all funding that may be available, including both need- and merit-based aid. Loan programs and on-campus employment can also help lower the cost of college. Additionally, WPI works with students to earn a BS/MS degree in five years or even less, offering increased value and saving a year's worth of tuition. 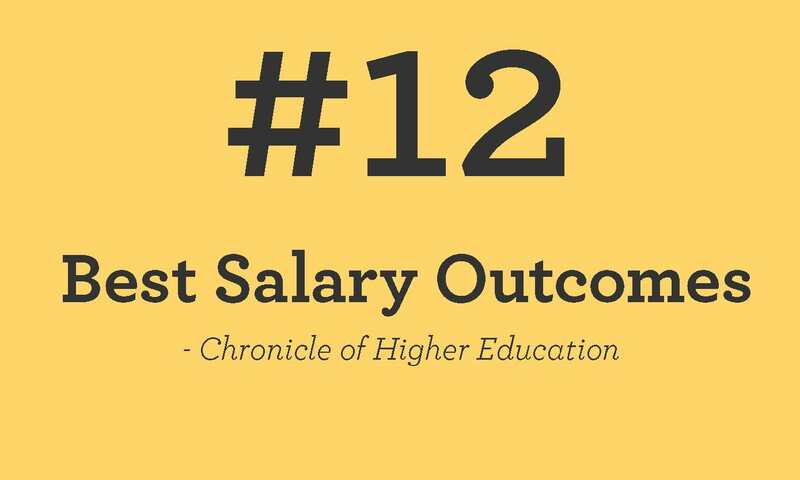 WPI not only positions you to earn higher starting salaries, we want students to know what to do with their earnings. Financial literacy sessions help students acquire and apply money management skills, both during college and in post-graduate life. They learn how to set a budget, manage multiple financial responsibilities, understand how student loans work, and more! It’s because of our revolutionary project-based education that our reputation and value proposition is so strong. Students work as part of teams, challenging them to strategically solve important problems. You learn to manage projects, achieve collaboratively, think creatively, and better communicate your ideas. Along the way you’ll expand your worldview and gain career-launching professional experiences. 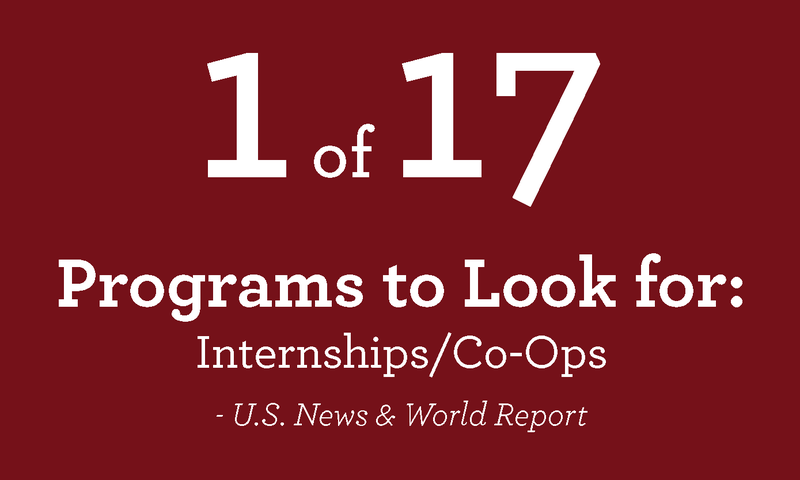 Many students earn extra income to offset educational expenses and gain valuable experience through paid summer internships or four- to eight-month, full-time co-op positions—all while graduating within four years. Hundreds of opportunities are available each year with global companies like Boston Scientific, ExxonMobil, General Electric, SpaceX, and Tesla. Accessing a WPI degree is often worth taking on student loan debt with a great return on investment. With above average salaries in high-demand STEM fields, graduates are able to both repay debt and live a high-quality life. WPI students have a strong track record for loan repayment--well above the national average. We consider your first day on campus the start of our mission to prepare you for life after graduation. Our one-on-one coaching, workshops, digital resources, alumni network, and lifetime career services have consistently ranked among the best career services in the nation. WPI offers two major career fairs and many other opportunities to introduce you to over 400 employers on campus each year. Students come to WPI expecting to earn a good living when they graduate. 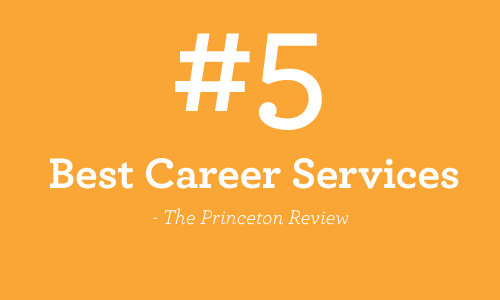 And, while The Princeton Review names WPI as a “Top 50 Colleges that Launch Careers,” what our graduates have found is so much more. They are more sophisticated, well-rounded, and prepared for anything. Students often cite "life-changing" experiences at WPI--we can't wait to see how your life unfolds.